The NYCRC provided a $17.5 million loan to Edge Property Group to assist with the construction of a new 12-story, approximately 38,000 square foot mixed-use commercial building in Washington Heights to serve the needs of nearby Columbia University Medical Center and New York Presbyterian Hospital. The loan helped finance the construction of a 54-room hotel as well as approximately 15,000 square feet of medical office space. The development is located within the Upper Manhattan Empowerment Zone, one of nine empowerment zones established to revitalize distressed communities by using public funds and tax incentives as catalysts for private investment. 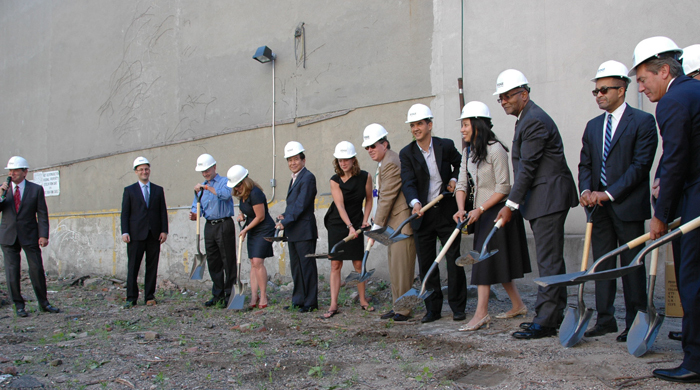 NYCRC’s financing is helping to bring much needed medical offices space and hospitality options to Washington Heights.